In the continually harsh public discourse over the President’s proposals for federally-managed healthcare, the Big Government progressives in both the Democratic and the Republican parties have been trying to trick us. These folks, who really want the government to care for us from cradle to grave, have been promoting the idea that health care is a right. In promoting that false premise, they have succeeded in moving the debate from WHETHER the feds should micro-manage health care to HOW the feds should micro-manage health care. This is a false premise, and we should reject it. 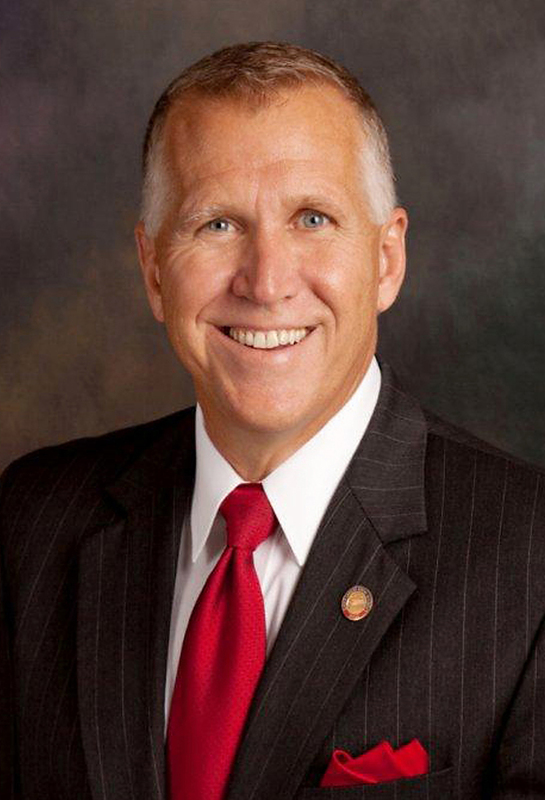 Health care is not a right; it is a good, like food, like shelter, and like clothing. What is a right? A right is a gift from God that extends from our humanity. Thinkers from St. Thomas Aquinas, to Thomas Jefferson, to the Rev. Dr. Martin Luther King, Jr., to Pope John Paul II have all argued that our rights are a natural part of our humanity. We own our bodies, thus we own the gifts that emanate from our bodies. 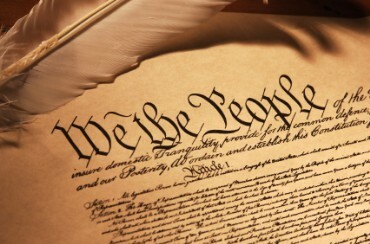 So, our right to life, our right to develop our personalities, our right to think as we wish, to say what we think, to publish what we say, our right to worship or not worship, our right to travel, to defend ourselves, to use our own property as we see fit, our right to due process — fairness — from the government, and our right to be left alone, are all rights that stem from our humanity. These are natural rights that we are born with. The government doesn’t give them to us and the government doesn’t pay for them and the government can’t take them away, unless a jury finds that we have violated someone else’s rights. What is a good? A good is something we want or need. In a sense, it is the opposite of a right. We have our rights from birth, but we need our parents when we are children and we need ourselves as adults to purchase the goods we require for existence. So, food is a good, shelter is a good, clothing is a good, education is a good, a car is a good, legal representation is a good, working out at a gym is a good, and access to health care is a good. Does the government give us goods? Well, sometimes it takes money from some of us and gives that money to others. You can call that taxation or you can call it theft; but you cannot call it a right. A right stems from our humanity. A good is something you buy or someone else buys for you. Now, when you look at health care for what it is, when you look at the US Constitution, when you look at the history of human freedom, when you accept the American value of the primacy of the individual over the fleeting wishes of the government, it becomes apparent that those who claim that healthcare is a right simply want to extend a form of government welfare. When I make this argument to my Big Government friends, they come back at me with…well, if people don’t have health insurance, they will just go to hospitals and we will end up paying for them anyway. Why should that be? We don’t let people steal food from a supermarket or an apartment from a landlord or clothing from a local shop. Why do we let them take healthcare from a hospital without paying for it? Well, my Big Government friends contend, that’s charity. They are wrong again. It is impossible to be charitable with someone else’s money. Charity comes from your own heart, not from the government spending your money. When we pay our taxes to the government and it gives that money away, that’s not charity, that’s welfare. When the government takes more from us than it needs to secure our freedoms, so it can have money to give away, that’s not charity, that’s theft. And when the government forces hospitals to provide free health care to those who can’t or won’t care for themselves, that’s not charity, that’s slavery. That’s why we now have constitutional chaos, because the government steals and enslaves, and we outlawed that a long time ago. 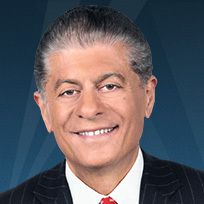 Andrew P. Napolitano [send him mail], a former judge of the Superior Court of New Jersey, is the senior judicial analyst at the Fox News Channel. His next book is Lies the Government Told You: Myth, Power, and Deception in American History, (Nelson, 2010). On March 9, 2010, before the 2010 Legislative Conference for the National Association of Counties, former Speaker of the House Nancy Pelosi said, “…We [Congress] have to pass the [health care] bill so that you can find out what is in it…” Well, the 2700-page Patient Protection and Affordable Care Act, since it’s passing in March 2010, has been and is being peeled away, layer by layer, and what we are finding is affirming what we’ve always known. On September 8, 2009, Judge Andrew Napolitano asked South Carolina Congressman James Clyburn (the third ranking Democrat in the House of Representatives), “Where in the Constitution is the Federal Government charged with maintaining people’s health?” Clyburn responded, “Well, it’s not in the Constitution. There’s nothing in the Constitution that says the Federal Government has got anything to do with most of the stuff that we do…” Moreover, on October 22, 2009, a CNS News reporter asked the then Speaker of the House, Nancy Pelosi, “Madam Speaker, where specifically does the Constitution grant Congress the authority to enact an individual health insurance mandate?” Speaker Pelosi responded, “Are you serious? Are you serious?” The reporter answered, “Yes, yes I am.” Later, Speaker Pelosi’s press spokesperson, Nadeam Elshami, told CNS News that its question was “not a serious question.” Question: What does this say about the Liberal paradigm toward America’s founding documents? “So far, over 1400 annual limit waivers have been issued…The waivers cover nearly 3.1 million individuals, or 2 percent of those with private insurance. Of the plans seeking waivers, more than half are union plans, covering 1.55 million people.” Question: If Obamacare is great for all Americans, as we’ve been told, why are so many receiving waivers? Thirty to fifty percent of businesses are planning on exiting out of employer-sponsored insurance after 2014 because the employer mandates are simply unbearable. When Obamacare was signed into law, we were told that the more Americans learned about it, the more they would like it. But, according to the Huffington Post’s healthcare poll, which averages 266 separate polls, in March 2012, 50% of Americans disapproved of Obamacare, while 41% approved; moreover, the majority of Americans have opposed Obamacare since June 2009, ten months before Obamacare was signed into law (Pollster.com). “…Before the highly publicized hearing on the constitutionality of President Obama’s health care law, ratings for the U.S. Supreme Court had fallen to the lowest level ever measured by Rasmussen Reports [at 28%]. Now, following the hearings, approval of the court is way up [at 41%].” Also, only 15% of likely U.S. voters agree with President Obama’s cautioning of the U.S. Supreme Court’s possible overturning of his health care law.